Right around now is when mom homeschooling moms are like "Is the year done yet?" 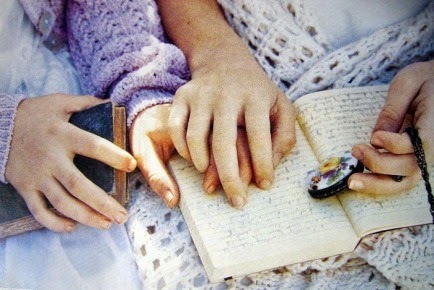 We are tired, we are ready to get this thing over with, and we anxiously wait for...summer. So around this time, when the semester is almost over, where we have actually survived the annual winter cabin fever, and now making it through the days of antsy children who want to get outside and enjoy the beautiful spring weather, we need to stay the track, end strong, and finish out the year. What we really need is a good shot in the arm to rejuvenate us to make it through this short period before school is finished. What I like do around this time for a quick pick me up is grab a good, inspirational read to help me get refocused and just remind me that there are others out there going at this just like I am. 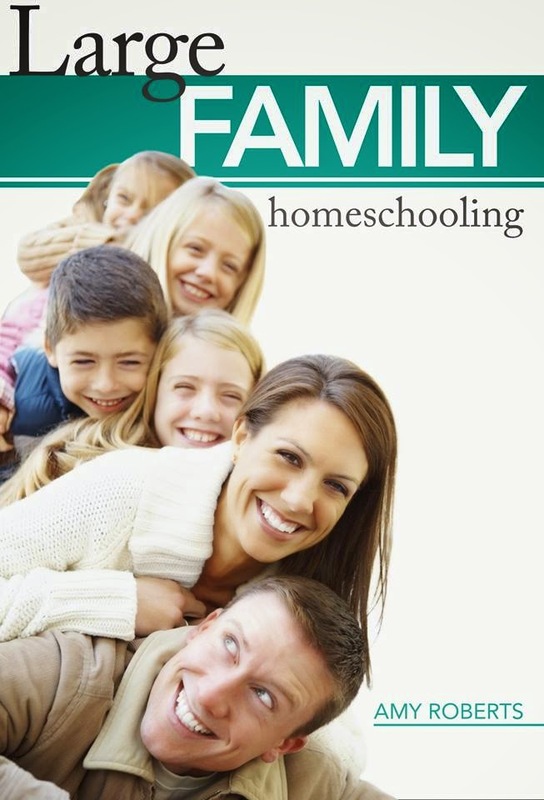 I am encouraged because I just finished reading Large Family Homeschooling last night. 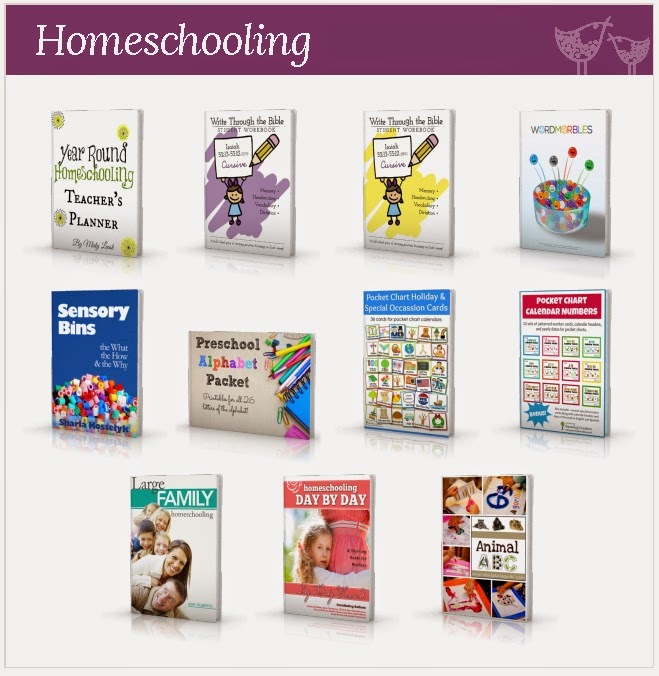 But don't be fooled by the title, this book is not just for large families, it has SO much helpful information that any homeschooling mom will be able to glean much from this ebook and actually go away understanding how to change her homeschooling for the better. This book was refreshing--I believe it was in the way that she was very thorough covering a myriad of topics from the practical logistics side of things, to lighting a fire, to keeping a home, making life easier, and just not putting too much pressure and expectations on yourself. I came away feeling blessed by her writing and I know that if I was, you will be too! If there is one thing that all of us homeschooling moms need (besides Jesus), is encouragement. 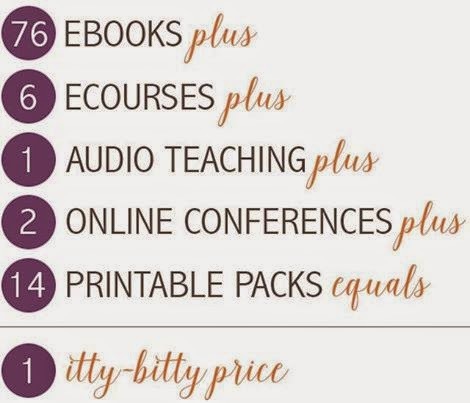 When we get to hear another mom's story of how she does it, even through trial and challenges, we go away feeling like we can actually do this homeschooling thing and that we are not failing at it. "The days when I feel stretched thin, bogged down, and bent out of shape are usually the days when in an effort to control my environment, I lose sight of the things that truly matter. God’s ways aren’t always my ways, but God is always right. In order to have enough of me to go around, I have to let go of some of my expectations. I have to let God lead. I have to be content with his Light only shining on my very next step, rather than the entire path. " I also liked the fact that she covered topics that you don't usually see covered in homeschooling books and did it a real honest type of way that we can all relate to. There is so much good information here that you will definitely want to take your time going through it all. which ends soon. Either way I hope you get it and are blessed by it! We homeschooling moms really need to stick together--we are doing a work for the Lord, and we need to pray for each other and lift each other up. chock full of goodness at a great price! You can learn more HERE or get it right now HERE! We hope you have a blessed homeschooling day!